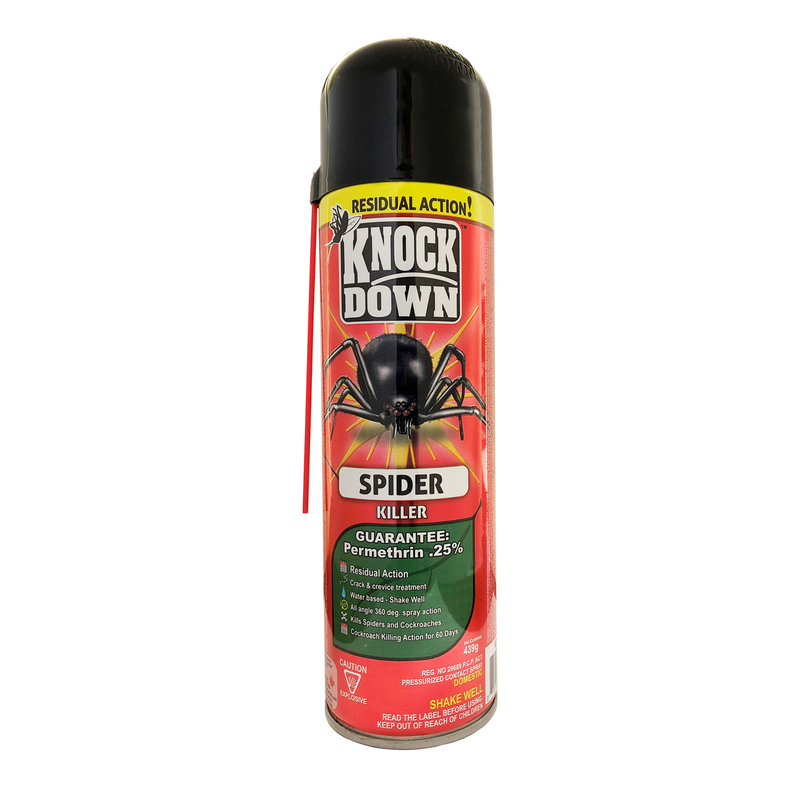 KD103D – KNOCK DOWN – SPIDER KILLER – KUUS Inc.
A top-notch spider spray. No complaints. All complements. I am buying more. This stuff is EXCELLENT! Spray your baseboards and under places where there are spiders. I live in a basement apartment, and I spray once every month, and I NEVER find spiders unless they are curled up in a ball dead. The only place I can find it is Giant Tiger, and they don’t put it on the shelf in the winter time. This stuff kills earwigs, ants and other bugs too.